How much is Michael Vick Worth? Michael Vick was born in Virginia and has an estimated net worth of $16 million dollars. 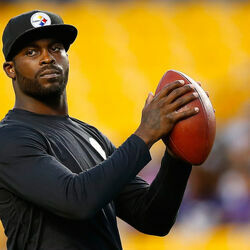 Michael Vick is a quarterback who played at Newport News Warwick High School. He played his college football at Virginia Tech where he was named Big East Offensive Player of the Year and Big East Rookie of the Year in 1999. Vick was drafted #1 overall by the Atlanta Falcons in the 2001 NFL Draft. He played for the Falcons from 2001 to 2008 and for the Philadelphia Eagles from 2009 to 2013. He then played for the New York Jets in 2014 and the Pittsburgh Steelers in 2015. A four time Pro-Bowl selection, his reputation was tarnished when his involvement in an illegal dog-fighting ring came to light. 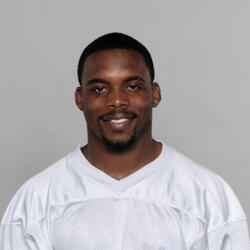 He served 2 years in jail and returned to the NFL in late 2009. On Monday August 28th 2011, Michael Vick and signed a 6 year $100 million contract with the Philadelphia Eagles. This new contract is includes $40 million in guaranteed cash and works out to an annual salary of $16.5 million. Vick is now the third athlete, joining Derek Jeter and Shaquille O'Neal, in the history of professional sports to sign more than one $100 million+ contract. Vick's original $130 million contract with the Atlanta Falcons was negated after his legal troubles. No matter what you think of Michael Vick, you have to admit he has performed a very impressive turnaround in terms of his image and playing. From a bankrupt convicted felon who no NFL team would touch with a 10 foot pole, to a $100 million contract. On October 2nd, 2012, court documents revealed that Vick had spent 95% of his 2008-2012 income, roughly $30 million, paying taxes, creditors, lawyers and accountants. In 2010 he was named NFL Comeback Player of the Year. After being a free agent in 2016 he officially retired in 2017. 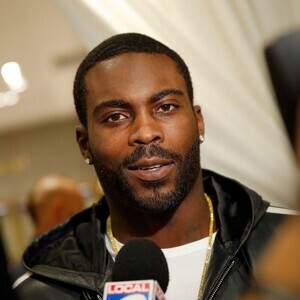 Vick became an analyst for the Fox Sports television series Fox NFL Kickoff on FS1 in 2017.